LOL! It’s actually a cute BIG bird!. 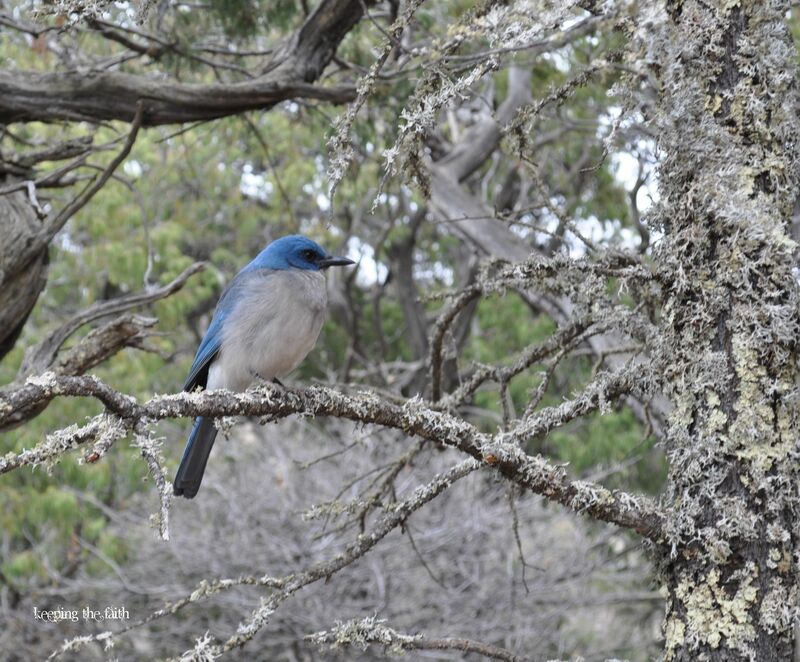 It’s a Mexican Jay, photographed in the Chisos Basin. It’s about the size of a young crow.